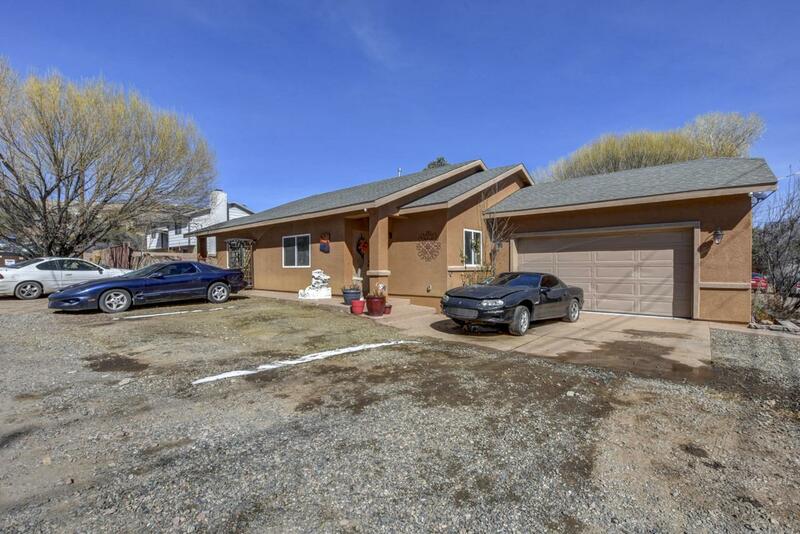 Adorable single level Prescott home! This home has 1434 sq ft with 3 bedrooms and 2 baths. The floor plan is open with laminate floors in the great room, walkways and tile floors in the kitchen and baths. The backyard is fenced and has a covered patio and a separate dog run. The side yard has a spa that is staying with the home. There is tons of parking spaces and room for your RV and toys. Great shopping close by! Listing provided courtesy of Doug Bunch Group of Realty One Group Mountain Desert.